This fixture always provides menace and an added layer of rivalry, dating back decades and heightened by the Roy Keane and Patrick Vieira tunnel antics of 2005. Both clubs are in a completely different state of affairs 13 years on. Arsenal, under new boss Unai Emery, are coming off the back of an emphatic North London Derby win against Tottenham, while Manchester United had to claw their way back to secure a point at Southampton – a club who have just sacked their manager. Although the Red Devils are at home, Arsenal will be heavily fancied coming into this greatly anticipated match with their new era well and truly under way. If Arsenal play anywhere near to the level against United as they did when facing Spurs, especially in the second half, then José Mourinho’s men do not stand a chance. Such is United’s feebleness and ability to crumble under the slightest bit of pressure, Arsenal’s players could run riot at Old Trafford. The Gunners are undefeated in their last 19 matches in all competitions, with 12 of those coming in the Premier League. Spanish coach Emery has given his players a new lease of life and they look far more confident in their own abilities. They are now playing as a group full of unity and team cohesion; the same cannot be said for United. Manchester United last lost to Arsenal at Old Trafford in the Premier League back in 2o06, but with the Gunners’ recent form and their ruthlessness heading into this game, it is hard to look past anything but an away win. 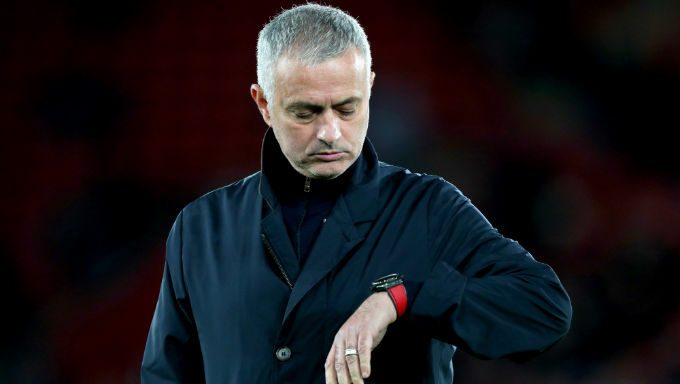 Man Utd’s famous 8-2 win over Arsenal may have occurred at Old Trafford, but Mourinho has quite clearly lost the dressing room, with the majority of his players looking disinterested and unbothered about the current storm going on around them. Against Southampton, amazingly, there was a lack of urgency in the second-half to find a winning goal. Arsenal are not Southampton and have more than an ounce of resilience now embedded in their team. 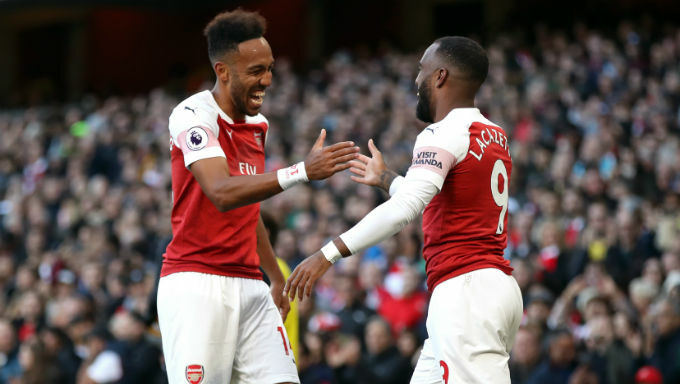 The Gunners are offered at 2/1 with Bet365 to take the three points back to North London with them, alienating Manchester United completely from the top four. If that is the outcome that comes to fruition, it would not be surprising to see Mourinho sacked by United’s board, which is currently priced at 5/2 with BetVictor..
Arsenal forward Pierre Emerick-Aubameyang scored two against Spurs at the weekend which has taken his tally to a league-high of 10 goals, causing his odds to be this season’s top scorer to tumble to 4/1 with Betway. Since arriving in January, Aubameyang has an immense return of 22 goals in 32 appearances in all competitions. The Gabon international has given a spark previously missing in the Gunners’ forward line, with his sharp movement out wide that enables runners from midfield - notably Aaron Ramsey and Mesut Özil - to run through and cause havoc. Aubameyang, along with Alexandre Lacazette, causes danger every time he steps onto the field, with defenders not knowing whether to track him and leave their position, or maintain zonal marking. His sheer speed in between the lines was too much for Tottenham and his first-time finish was something to behold. Against a lacklustre United defence, which has conceded 23 goals in 14 Premier League games, Aubameyang is going to run riot. Providing the Gunners also start Lacazette, their partnership is going to cause all sorts of trouble for a defence that possesses no sign of leadership or organisation. The former Borussia Dortmund centre forward is 8/5 to score at any time with William Hill throughout the match, while also being priced at 11/2 with Ladbrokes to find the opening goal. Even though Arsenal rose to the occasion against Spurs, there is a noticeable chink in their armour that can catch them off guard. Mauricio Pochettino found joy in releasing wide runners down the flanks, in between the wing back and central defenders, causing Arsenal to play on the back foot and scrambling around their penalty area. United’s defence is incredibly vulnerable, so Arsenal are bound to find the back of the net, but there should also be chances for Mourinho’s forwards to get on the scoresheet. The problem for the Portuguese coach is that both Romelu Lukaku and Marcus Rashford are not in the best of form. The Belgium international might have just ended his goal drought, but he has not scored at Old Trafford since March 31, while Rashford continues to squander chances. The Gunners have conceded three penalties in the Premier League this season, all coming from different players. There is a tendency from Arsenal to make mistakes in their own box, with Shkodran Mustafi and Rob Holding the main culprits against Tottenham. Given Man United’s lack of goalscoring players in the team right now, it might take a Paul Pogba penalty in order to see them find the back of the net. United are 11/2 with Bet365 to score a penalty at any stage while Pogba is 11/4 with Paddy Power to net any time, anyhow.